Mother-in-laws tongue (Sansevieria Laurentii) is a very tough, durable and easy to grow plant which originally came from the tropical regions of West Africa. It is a tall plant with stiff, fleshy, mottled green leaves that are edged in yellow, whereas the snake plant is all green. They can grow up to 3 or 4 feet tall. Being the plant is native to the tropics, it likes warmth but can survive in cool temperatures. 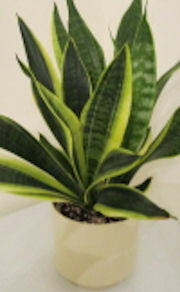 This easy care plant makes a great low-light potted houseplant to brighten the home or office. 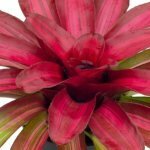 It is low maintenance, hardy and toughest among all houseplants, perfect indoor plant for busy people or the forgetful gardener. This plant is a natural defense tool against indoor air pollution. It improves the air quality by getting rid of toxins such as nitrogen oxide and formaldehyde. Many of the items that we use every day such as plastic wallpaper, carpeting and rug pads, insulation, laminated counters, veneer furniture, plywood, cleaning supplies, air fresheners, adhesives, printers and copy machines contain volatile organic chemicals (VOCs) which are synthetic materials that "off-gas" toxins. VOCs cannot be avoided because they are found in such a wide variety of the products in our indoor environment; however, you can take steps to make your air healthier by having this plant in your home. 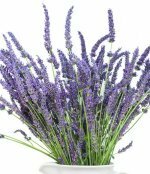 Place 2 mature specimens in a 100 sq ft room to remove toxins from the air. Another great quality of the mother-in-laws tongue is that it releases oxygen into the air at night, rather than consuming it like other plants usually do --- perfect plant to put in your bedroom to get life-sustaining oxygen while you sleep. It is easy-to-grow and Will thrive under most conditions except when overwatered. This plant will tolerate low light, dry air, and poor soil conditions; however, the plant will grow better and produce healthier leaf structure and coloration if placed in a bright location and fertilized properly. Some may even bloom. Light: prefer moderate to bright light and it can also survive in low light (minimum light to read by). Temperature: 55 to 85 degrees Fahrenheit, but can tolerate temperatures as low as 40 degrees without damage. necessary to prevent root rot which can kill your plant. Fertilizer: All-purpose plant food during the growing season. Do not feed in winter. Propagation: Propagation of Sansevieria laurentii should be done by division only. This is necessary to keep the distinctive yellow edges and avoid the plant becoming all green. Repotting: The plant rarely needs repotting but may be done when roots appear through the drainage hole. This plant is toxic if eaten. Please keep out of reach of children and pets.